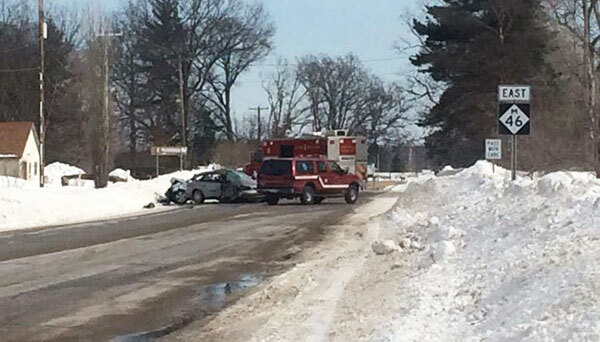 A Kent City woman was killed in Tyrone Township last Friday, February 28, when her car crossed the centerline and hit an oncoming car. Sherri Marlene Knapp, 54, of Kent City, was eastbound on 17 Mile, when she reportedly came upon a vehicle turning left on Sparta Avenue and passed it on the right, and drove on to the shoulder of the road. When she came back on to the road, she crossed the centerline and hit the other car. Knapp died at the scene of her injuries. The other driver was not injured. Police said alcohol was not a factor in the crash. The road was closed for several hours.